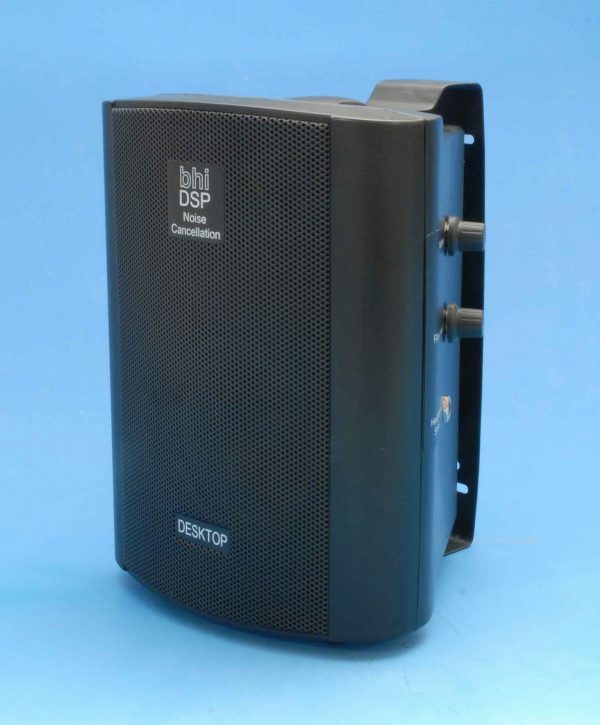 Dramatically reduce unwanted noise and interference! Get rid of noise and interference so you can hear clearly! 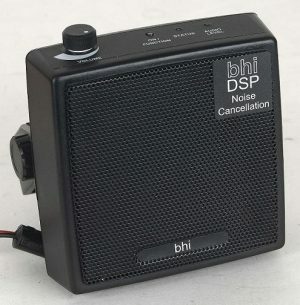 The bhi DESKTOP 10 Watt DSP noise cancelling base station speaker removes noise and interference to leave clear speech. It works on all types of radio, transceivers, receivers, and SDR radios, giving a new listening experience. The intuitive rotary controls make it very easy to use and set up to your own operating preferences. 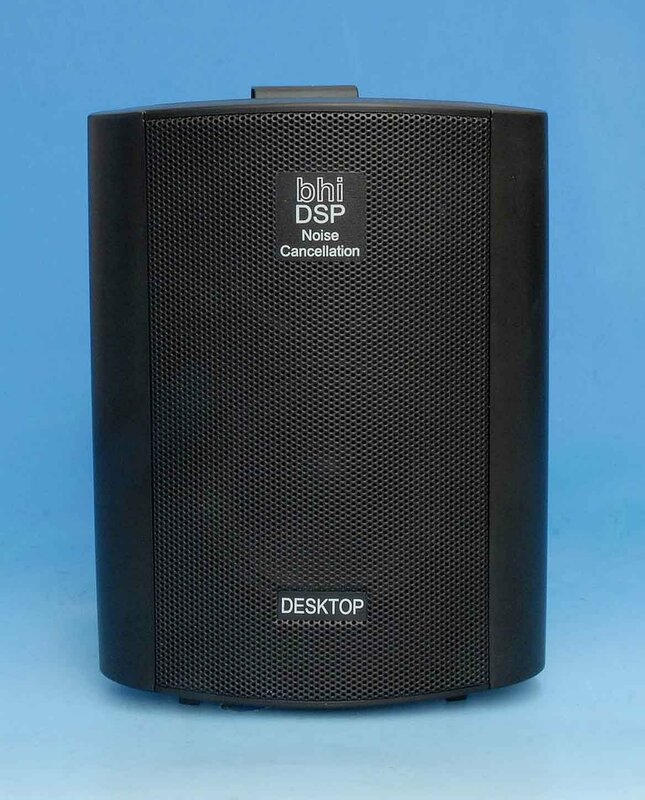 The DESKTOP speaker comprises a 4″ bass driver and a 1″ tweeter unit with an amplified bhi DSP noise cancelling unit capable of producing up to 10 Watts audio (peak). 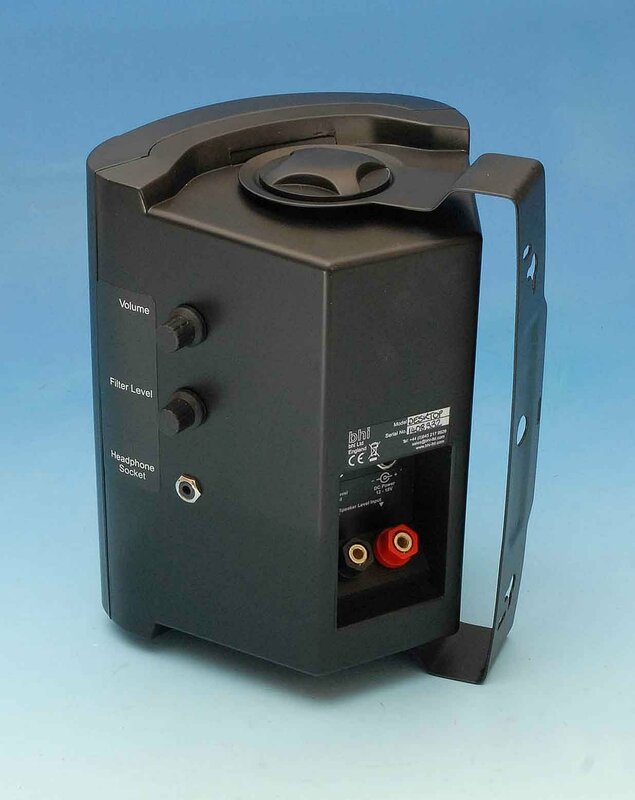 The DESKTOP speaker is easy to use with rotary controls for volume on/off and filter level on the side of the speaker. 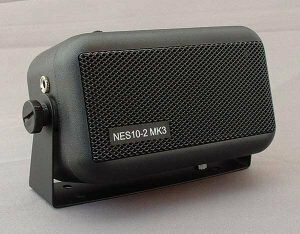 The DESKTOP speaker has two 4mm screw terminal posts at the back for mono speaker level signals (4 or 8 ohm), and a stereo 3.5mm “Line Level” input socket suitable for use with SDR radio, Elecraft and FlexRadio products. There is also 3.5mm headphone socket on the side of the speaker for mono or stereo headphones. 12V DC Power is via the 2.1mm power socket (centre +ve). Noise cancelling is switched on and off by pressing the filter level control. Rotating this control allows you to change the filter level in real time to suit your current listening conditions. The DESKTOP speaker is supplied with a 2.1mm fused DC power lead with bare ends, a quality 1.2 metre audio cable with a moulded 3.5mm jack plug and 4mm banana plugs and a full user manual. A 12V DC world-wide mains plug-in power supply PSU12-2A-WW is available as an optional extra. Simply connect the power lead and audio lead to your DESKTOP speaker and radio, switch on the power supply and you are ready to go, adjusting the volume and filter level controls on the side of the speaker to suit your own requirements. 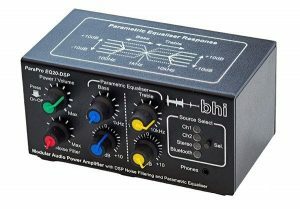 Audio tones Power-up, power-down, DSP filter level, volume and memory store, Input overload indication. Note: Elecraft K3 users: To connect to the K3 using the speaker lead supplied you need to either make up an audio lead with a 3.5mm stereo plug (tip only connected) to a 3.5mm mono socket, or purchase one of our ALD-009 leads, or alternatively use a 3.5mm stereo plug to plug lead and connect from your K3 to the line in socket on the DESKTOP speaker (ALD-007).